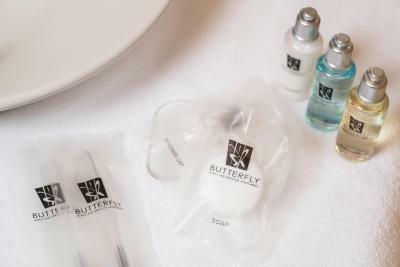 Lock in a great price for Butterfly on Waterfront Boutique Hotel Sheung Wan – rated 8.1 by recent guests! The location was convenient to the metro and the streetcar/tram. The room was clean and comfortable. I didn't have much of a Harbor view but I suppose higher up I would have...I was on the 5th floor. Location is not too bad, around 10 mins walk from MTR Sai Yin Pun. 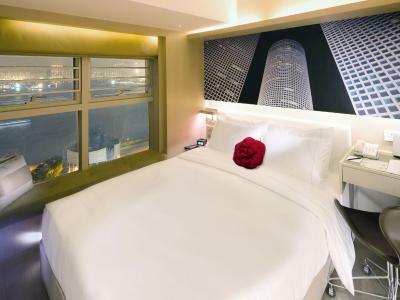 Clean room, bathroom is ok.
Quite big rooms for Hong Kong. Nice and stylish. Staff is helpful and friendly. Get down from Airport expressway terminal & take a taxi would be easy to find location first. Take lift & go to first floor reception. They are very helpful & understand English. 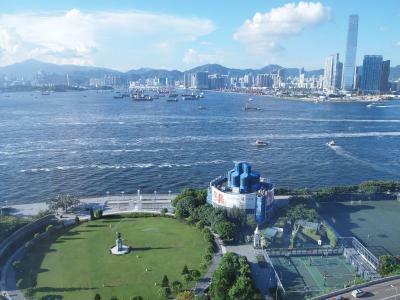 Try to upgrade room towards Victoria Harbour view. There are 32 floors. Also you can leave your luggage there & hang around. Rooms are compact as usual in Hong Kong. You can have morning tea with some snacks in 1st floor. Can travel around using tram or metro behind hotel lane. Buy octopass from metro station & reload from 7 Eleven anywhere. Can useful to avoid ticketing cash, bus, taxi fare, shopping. Keep some coins for Tram ride. Great location close to metro and ferry terminal. Friendly staff. Super small compact room overlooking the harbour that managed to still pack in most of the necessities. Convenient location. Friendly staff. Portable wi-fi router. Authentic Michelin Chinese restaurant literally round the corner. 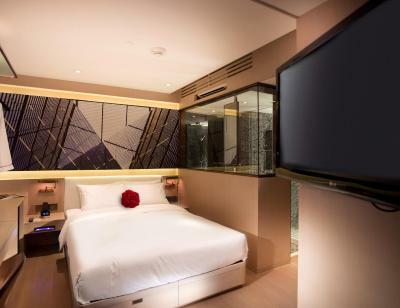 I paid $785 HK ($100 US) for one Friday night stay in March 2019. Hotel check-in was smooth and fast. The room was only approximately one foot wider than the queen-sized bed and overlooked a parking lot. The mattress was uncomfortably hard so I requested a topper. Housekeeping came within ten minutes and put another comforter on the bed which helped a little. This hotel is also very close to the famous dim sum place. 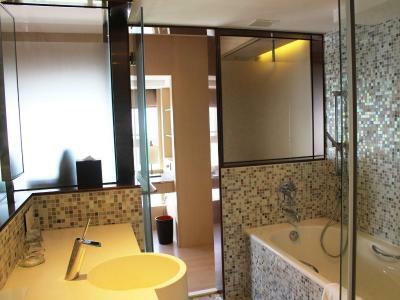 Like the location, cleanliness of the room & overall facilities. Great location. Excellent morning coffee. Helpful staff did not hesitate to move us to a higher floor to reduce sound of highway noise. 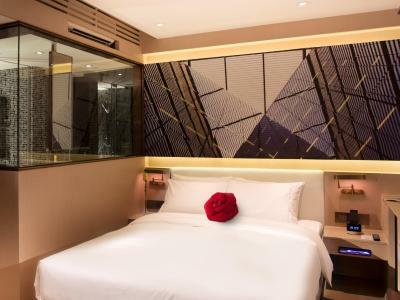 Butterfly on Waterfront Boutique Hotel Sheung Wan This rating is a reflection of how the property compares to the industry standard when it comes to price, facilities and services available. It's based on a self-evaluation by the property. Use this rating to help choose your stay! One of our top picks in Hong Kong.Butterfly on Waterfront Boutique Hotel, the elegantly designed boutique hotel located at Sheung Wan, enjoys the stunning view of Victoria Harbor and the area’s blissful city scene near Hong Kong-Macau Ferry Terminal, presenting travelers an unparalleled relaxing experience in this busy city. Free WiFi is provided. 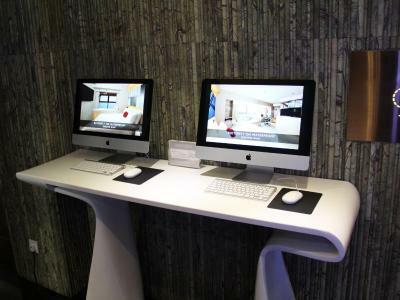 The hotel features smoking-free rooms and offers guests a 4G pocket WiFi device which can keep guests connected to internet anywhere in town throughout the stay. Located along dried seafood street and tonic food street, Butterfly on Waterfront Boutique Hotel is an 8-minute drive from Airport Express Hong Kong Station, which links to Hong Kong International Airport. Sai Ying Pun MTR Station is a 9-minute walk away. 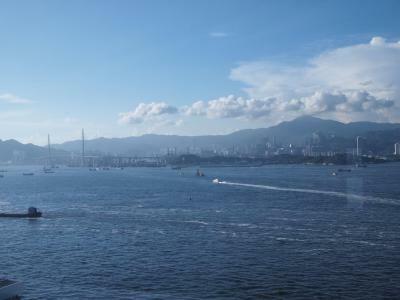 It is 6.9 mi from Hong Kong Disneyland, 0.8 mi from Lan Kwai Fong and 4.8 mi from Repulse Bay. Hong Kong International Airport is 14 mi away. 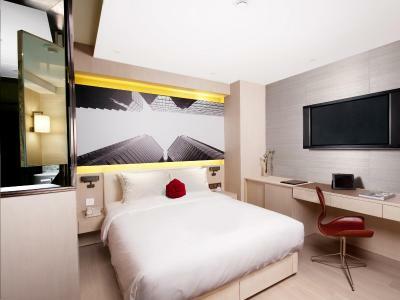 Each room is equipped with high-speed internet connection, a smart device-friendly multimedia docking station, flat-screen TV and branded mattresses that give a quality and restful sleep. A hairdryer and free toiletries are stocked in the attached bathroom. Guests can make their sightseeing and ticketing arrangement at the tour desk. The friendly staff at the 24-hour front desk can assist with luggage storage service. 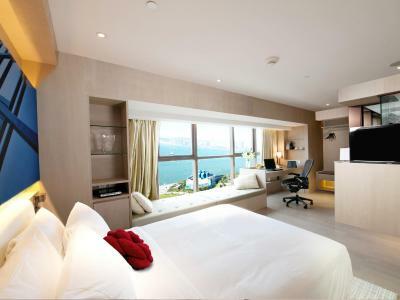 When would you like to stay at Butterfly on Waterfront Boutique Hotel Sheung Wan? Located on floors 5 to 32, this room features a LCD TV with cable/satellite channels, complimentary coffee/tea making facilities, smart device-friendly multimedia docking station and free WiFi. The private bathroom comes with a hairdryer and free bath amenities. Located on floors 7 to 12, this room features a LCD TV with cable/satellite channels, complimentary coffee/tea making facilities, smart device-friendly multimedia docking station and free WiFi. The private bathroom comes with a hairdryer and free bath amenities. Located on floors 16 to 32, this room features views of Victoria Harbor, LCD TV with cable/satellite channels, complimentary coffee/tea making facilities, smart device-friendly multimedia docking station and free WiFi. The private bathroom comes with a hairdryer and free bath amenities. Located on floors 5 to 6 and 25 to 28, this room features views of Victoria Harbor, LCD TV with cable/satellite channels, complimentary coffee/tea making facilities, smart device-friendly multimedia docking station and free WiFi. The private bathroom comes with a hairdryer and free bath amenities. Located on floors 8 to 12, this room features a LCD TV with cable/satellite channels, complimentary coffee/tea making facilities, smart device-friendly multimedia docking station and free WiFi. The private bathroom comes with a hairdryer and free bath amenities. 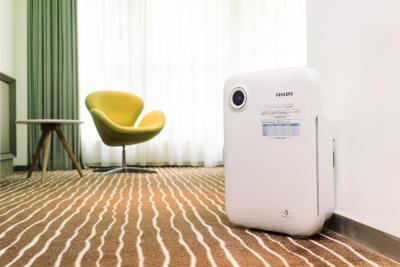 Each room includes an air purifier which allows guests to rest comfortably, sleep better and awake refreshed. Located on floors 7 to 12, this room features views of the city, LCD TV with cable/satellite channels, complimentary coffee/tea making facilities, smart device-friendly multimedia docking station and free WiFi. The private bathroom comes with a hairdryer and free bath amenities. A 4G pocket WiFi device is provided with unlimited local data is provided and can connect up to 5 wireless portable devices. Located on floors 5 to 32, this room features views of the city, LCD TV with cable/satellite channels, complimentary coffee/tea making facilities, smart device-friendly multimedia docking station and free WiFi. The private bathroom comes with a hairdryer and free bath amenities. 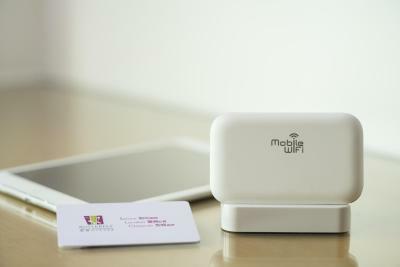 A 4G pocket WiFi device is provided with unlimited local data is provided and can connect up to 5 wireless portable devices. 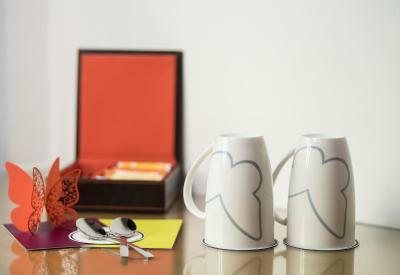 House Rules Butterfly on Waterfront Boutique Hotel Sheung Wan takes special requests – add in the next step! Butterfly on Waterfront Boutique Hotel Sheung Wan accepts these cards and reserves the right to temporarily hold an amount prior to arrival. When booking is made for on-day or the next day with more than 2 rooms, guests need to advise credit card information. When booking more than 5 rooms, different policies and additional supplements may apply. More information, please contact the property directly. 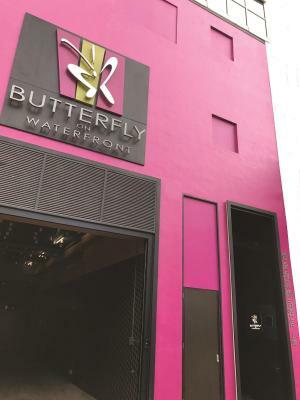 Please inform Butterfly on Waterfront Boutique Hotel Sheung Wan of your expected arrival time in advance. You can use the Special Requests box when booking, or contact the property directly using the contact details in your confirmation. The girls at reception, very friendly and helpful. Quiet and near transport. As per last review rooms need some love and seem to have small things wrong with them. Could provide fresh milk with the Nespresso coffee. Pocket wi fi. Location. Nespresso coffee. love the room's waterfront view! Rooms are very small. I think photos on booking site shows something different, newer and cleaner. Unfortunately the last day of my staying i woke up with hundred bedbugs bites. Every room seemed to have something wrong with it.2 rooms were noise related (building not patrons)1 was a leaky shower. It really looks like it needs some love put back into it. Not saying its a bad hotel it just could be much better with some love. Rooms are very small, but heard thats the norm in honkers. Cant confirm though. Finally they provide pod coffee but then cheap it on fresh milk. Powdered instead. Free pocket WiFi was fantastic. Really close to all forms of public transport. Tram 1 min walk. Bus 2 min walk, central station about 15 mins walk but u can get the tram or the bus for peanuts. Nescaffe pod coffee in the morning was great. Just a few negatives which aren't to big.I have is that there is only one lift, and so it takes a while waiting on it. Also the reception desk is on the first floor so coming in at night you're waiting in an open access lobby for the lift. After midnight the vestibule goes to card key access, but prior to that it's open. The wi-fi device didn't seem to hold a charge for very long it only lasted a few hours. I do wish I knew about the construction right outside before hand. Location and the view over the harbour. 1.Very small room, i guess it is HK standard. The hotel is a bit old needs maintenance. The auto front door got issue to open for a while so i have to get around the building from another exit. 2. The hotel does not have a room for me even it is 3pm check in time because someone else left the room late? That’s not a very good excuse. 3. The bed sheet is not clean. I suspect they have changed the bed sheet because i spotted someone else hair and black dots on it!